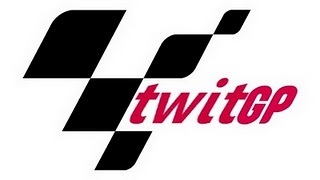 Twitter's second-ever virtual race, TwitGP2, will take place this weekend, exactly 51 weeks after the much-loved pun-fest that was TwitGP. The current MotoGP grid and a selection of carefully chosen wildcards will line up on a completely reprogrammed Twitegi circuit, now capable of holding a crowd of over 12,000 followers - more than twice the size of last year's event. Nine-time World Champion, professional Italian and Vampire Goat, Valentino Rossi, will be hoping the shoulder injury which has so plagued him for the last nine months of actual racing won't hinder him in the virtual event. 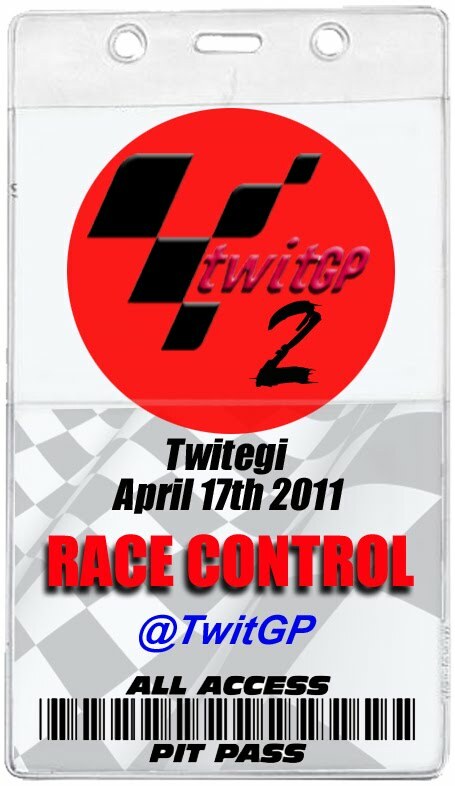 Adding a TwitGP crown to his 125, 250, 500 and MotoGP titles would make for an an unprecedented clean-tweep in grand prix racing, but he'll be relying heavily on the services of his mechanic and experienced tweeter @alex__briggs to provide a Ducati Desmosetweetci with a race-winning Start/Settings-up. His team-mate, @nickyhayden, has spent the year tweeting hard and is desperate to maintain momentum after his podium last time out in Jerez. Over at Yamaha, who have even fewer sponsors than little Johnny Blenkinsop in Class 2a who's doing a sponsored snot-a-thon for Save the Turds, remain confident. @lorenzo99, reigning actual World Champion, is a consummate tweeter while over on the other side of the garage firewall, @benspies11 has a reputation for quickly tweeting tracks he's never been to before. HRTweet are out in force, with not just the factory bikes of the likeable Casey Stoner, the lanky Dani Pedrosa, the distinctive Andrea Dovizioso and the crew-cut Marco Simoncelli, but also the monogamous Mick Doohan, who will be hoping NOT to retweet his first corner crash from last year's race. Tech Twee's Colin "Colin" Colin is gunning (hahahaha, sound the in-joke alert siren) for victory in what must be the veteran's last ever TwitGP, but having dabbled unsuccessfully with Twitter in the past 12 months the fans' favourite surely has a mountain to tweet. His young rookie team-mate, who is similarly only ever referred to by his Christian name, Cal "Cal" Cal, is nursing a variety of hand and arm injuries which will surely hold back his type. Loris Capirossi has still yet to complete his ‘IT for Oldies’ class, while his Pramac colleague Randy de Puniet will once again undoubtedly be providing the TwitGP collective with endless material based around the phrase "my computer keeps crashing". Wildcard rider and rich source of easy jokes, Maxwellimillion Biaggi, did not have the happiest of races last year, incurring the wrath of Race Tweetdecktion for flicking all and sundry the bird (his defence that the "bird" is simply the international sign of Twitter was laughed out of court). He returns this year as World Superbike Champion for what will certainly be another hair-raising experience. Finally, but by no means leastly, there's Jeremy McWilliams, @McWill99, an ACTUAL grand prix winner who's been playing along like an old pro. Even he's lost count of how many 2-stroke lap records he holds ("not 100% sure," he tweeted us, "P Island, Rio..SRing maybe") and he'll be hoping that kind of raw pace on a comedically out of date Kenny Roberts Proton will somehow be useful when it comes to typing messages of 140 characters or less into a micro-blogging site. Qualifying starts on Saturday 16 April at 2130 UK BST, with the race on Sunday 17 April at 2130 UK BST. Tune in to @TwitGP for all the build-up and you won't miss a single click. Advanced ticket sales have been astounding, with all money raised going towards the children affected by the Japanese earthquake. www.justgiving.com/twitgp has all the details - with a list of exciting prizes on offer to those who donate available HERE. It's the second TwitGP2 this weekend on Saturday and Sunday and Yamaha Factory Racing riders will be lining upon the grid to ride and race in the race while hoping for drier conditions than last time they raced here, otherwise it might rain.